As the calendar flips to January 1, 2019, many of us begin to focus inward and make resolutions to better ourselves and our lives in the new year. A new year marks the perfect opportunity to start fresh, and making resolutions helps put us on the right track to attain our personal goals. New Year's resolutions vary for every individual, but often follow similar themes — lose weight, get organized, save money, quit bad habits, and change negative behaviors. Did you know that people who make resolutions are 10 times more likely to successfully change their behaviors, and that renting a storage unit can help you keep your resolutions in 2019? One of the most common resolutions that Americans make each year is to lose weight, get healthy, and exercise more frequently. Renting a storage unit can help you attain these goals by clearing a space in your home for an exercise studio. Imagine if you moved boxes, seasonal sports equipment, and extra furniture to a storage unit? By making room in this space you can add a treadmill or weight lifting station, or create your own peaceful yoga studio. Plus, all of that heavy lifting you’ll be doing moving your extra furniture into storage will get you started on the right path to health and fitness. Depending on how much you have to move to storage, you may even count that as your workout for the day. After the holidays marks the perfect opportunity to get organized. As the decorations come down, you may look around and resolve to keep a more structured and orderly home. Renting a storage unit can easily assist you in keeping this resolution. During the winter, spend time indoors sorting through your belongings and determining what can be sold, donated, trashed, or moved to a storage unit. Going through your belongings and removing the clutter will not only help you get organized, but will also give you a freeing feeling that will energize you for the coming year ahead. Perhaps your New Year’s resolutions fall on a much more grand scale than simply losing weight or getting organized. If you want to make big life changes in 2019, renting a storage unit may be the answer. People decide to move for many reasons and self storage can be helpful during times of transition. Whether you resolve to move across town, across the country, or to a smaller home to save money (another common New Year’s resolution), renting a storage unit can help you keep your resolutions to improve your quality of life. Renting a storage unit while staging your home for sale creates a more open and inviting space, which could attract the perfect buyer. 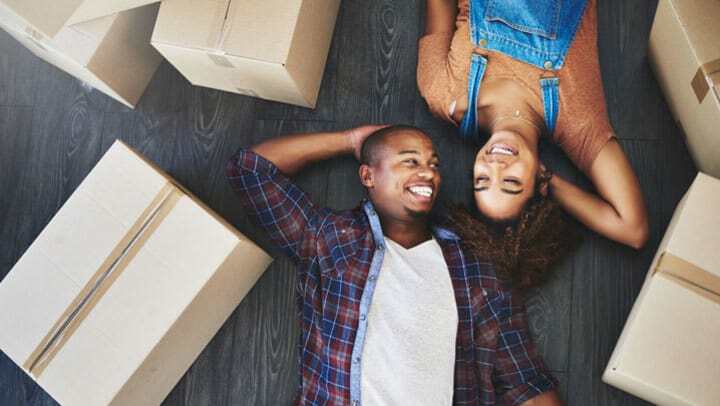 Resolving to move out on your own means you may need a storage unit for a period of time while searching for the perfect new apartment or home. Storage units at Storage Etc. are available on month-to-month leases, which means you can rent a space for as long as you need, no matter how temporary the time frame. Get healthy, get organized, and tackle your New Year’s resolutions with the intention to succeed. Renting a storage unit from a Storage Etc. location can help you keep your resolutions and in turn improve your quality of life. Best of luck and happy 2019!